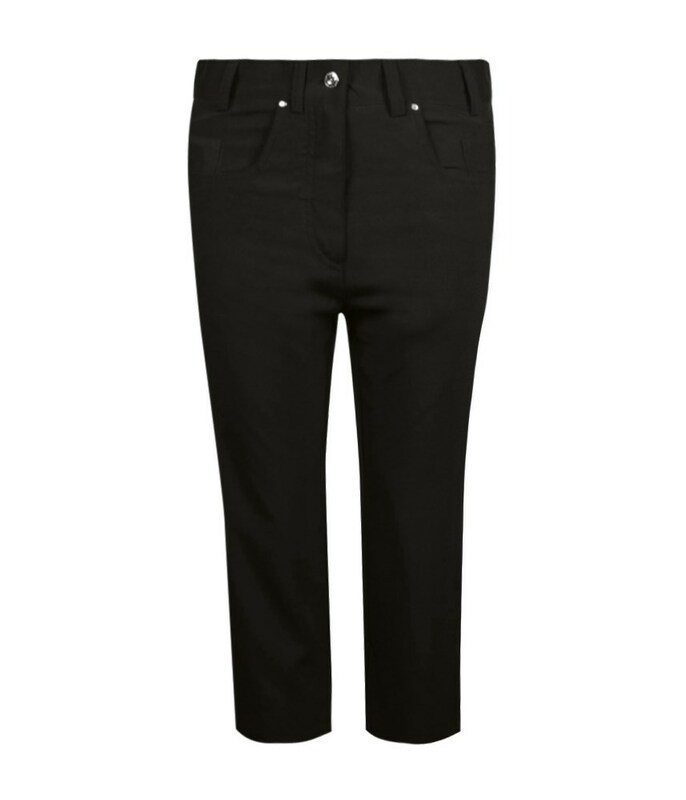 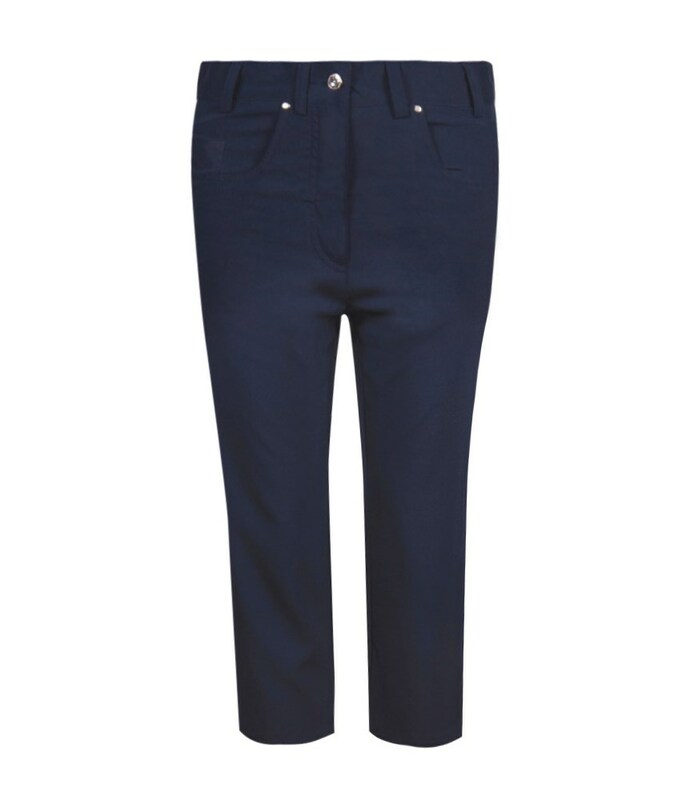 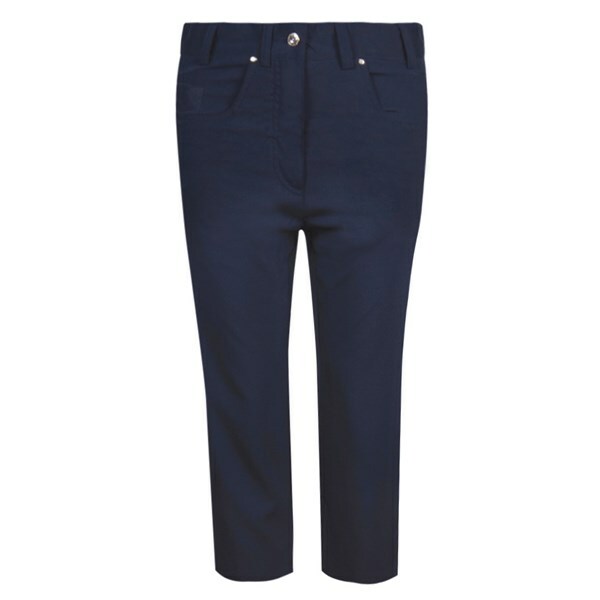 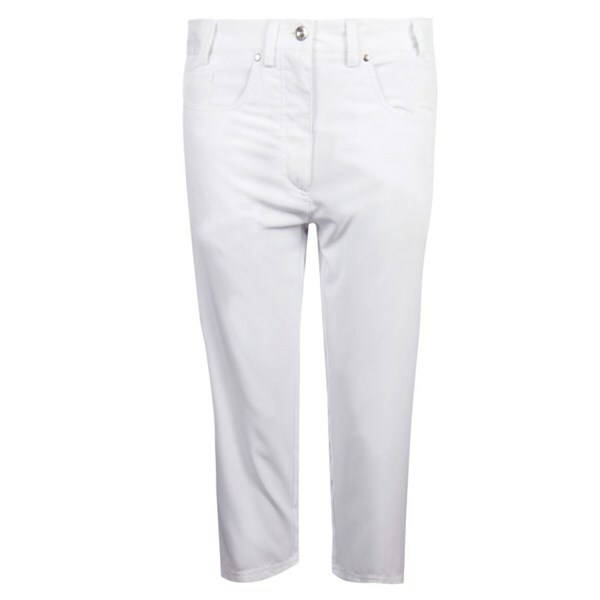 A stretch performance fabric makes the Glenmuir Ladies Kendra Capri trousers exceptionally comfortable and flattering to wear on or off the golf course. 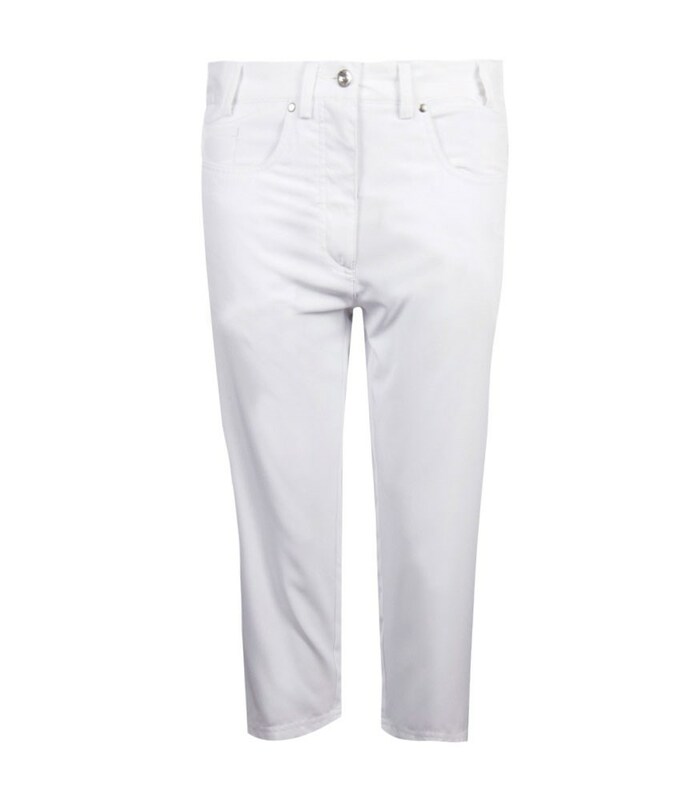 The Kendra Capri’s are also moisture-wicking and breathable so wearing them in the middle of the summer heat is never going to cause issue as excess moisture will quickly be drawn away from your skin leaving you feel dry and cool in the heat. 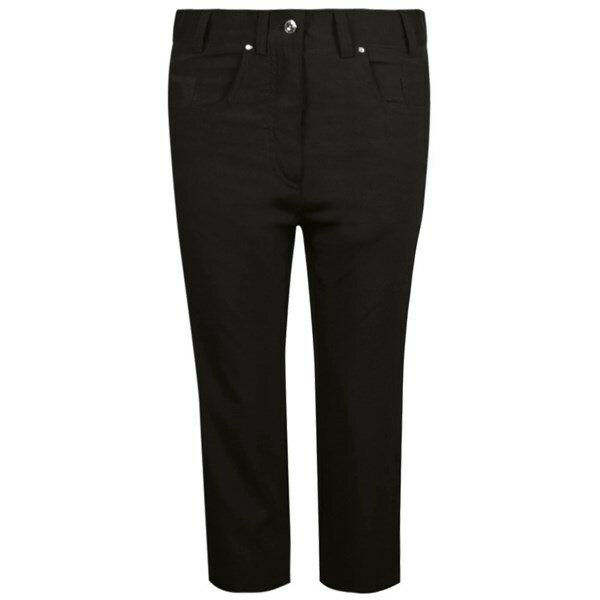 Fantastic diamante detailing on the button close and an embroidered Glenmuir icon on the coin pocket give the capri’s a classy fashionable look that will not look out of place on the course or in the bar celebrating your latest win.